Clear Emperor® heads are made with two free-floating plys of 7 mil Mylar® film, which gives consistent open tones and accounts for their popularity among many of todays Pop, R&B and Rock drummers. Also available in 5 mil Snare Side Heads for a more focused snare response. SE-0114-00 The clear drumhead is Remos brightest and most open sounding head. Theyre known for their bright tones, resonance, and sustain. Clear heads are best known as batter and resonant heads opening up the sound of tom-toms and bass drums. Clear Emperor® heads are made with two free-floating plys of 7 mil Mylar® film, which gives consistent open tones and accounts for their popularity among many of todays Pop, R&B and Rock drummers. Also available in 5 mil Snare Side Heads for a more focused snare response. 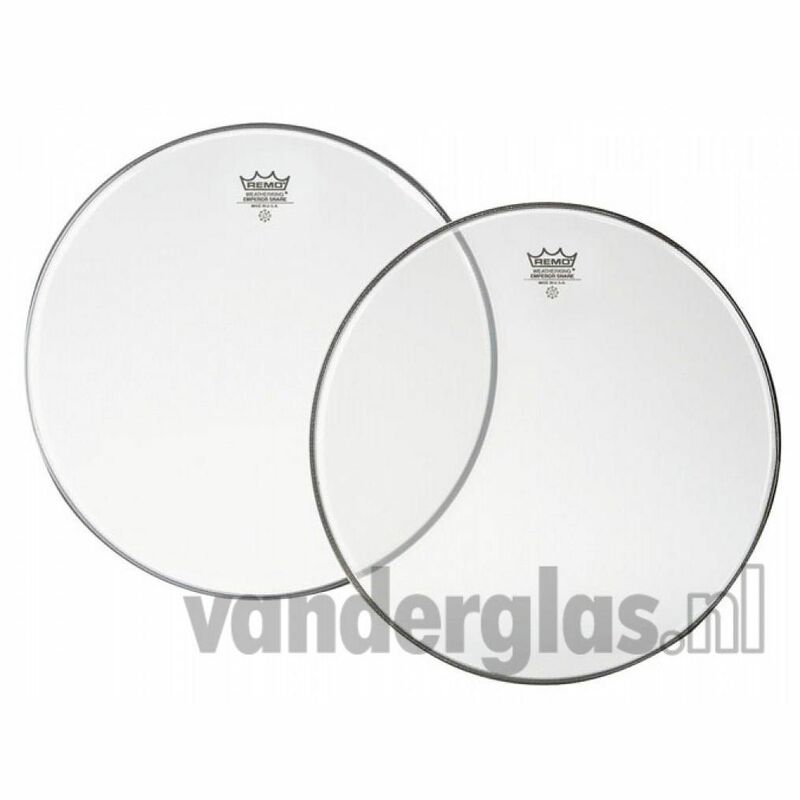 Snaarvel 14" Remo emperor clear voor € 18,00 bij https://www.vanderglas.nl/.